Here is an attempt at gathering all of the most useful Sheiko spreadsheets in one place – all on Google spreadsheets. Whether you’re a novice, intermediate, or advanced lifter, there is a Sheiko program to help build strength for you. Check out Boris Sheiko’s newly released book via Renaissance Periodization: Powerlifting Foundations and Methods. To make following the Sheiko training programs ridiculously simple, definitely just get the app. At $12.99, it’s a steal and officially maintained by Boris Sheiko. Determining which set of Sheiko programs to utilize relies upon the current skill level of the athlete. The Ukranian and Russian classification charts are from the Sheiko forums. “Sheiko is one of the best cookie cutter programs that a powerlifter can run. Of all the copy/paste programs we’ve looked at thus far, Sheiko is easily the best… but it is still sub-optimal. Cookie cutter programs can never produce top results. They can produce excellent results, but there will always be room for improvement through individualization and autoregulation. 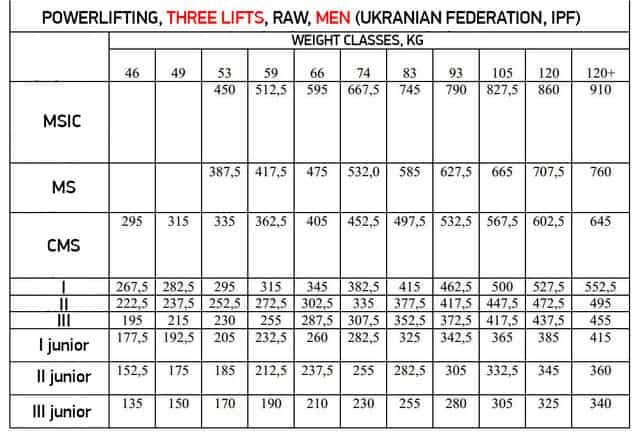 Lift Vault note: Sheiko never intended for these programs to be used widely on the Internet. They were written for individuals, not a general audience. “I think Sheiko has provided a series of great templates. They do need to be modified to meet individual needs, and I don’t think they are appropriate year round, but they certainly have a place. I am personally fond of Sheiko, as it was doing Sheiko #32 I first squatted double my body weight. I wouldn’t be surprised if 5 by 3 at 80% was my go-to rep scheme for the rest of my lifting career. Most of the below programs are broken down into separate cycles on each tab. These tabs can be run individually or back to back, so the program lengths can range from 4 weeks all the way to 20 weeks, depending upon how many consecutive cycles are run together and the strength level of the athlete. This spreadsheet collects 14 different training “collections” all in one place. 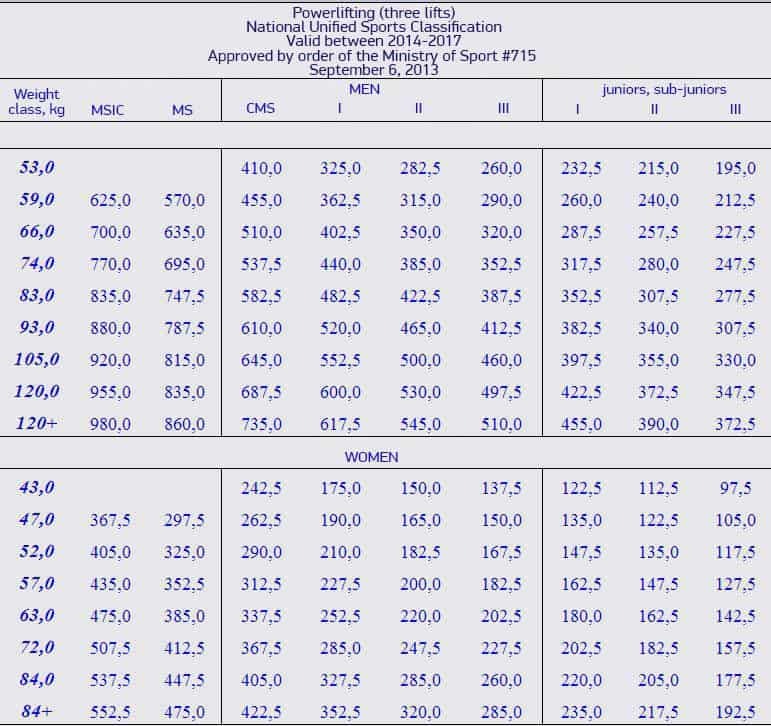 While not strictly programs, lifters can still benefit from following the training laid out in the spreadsheets. And while 99% of you WILL NOT need MSIC programming, it’s still interesting to consider how Sheiko would train these athletes. Included are the popular #29, #30, #31, #32, #37, #39, and #40 templates, all generated automatically based on 1 Rep Max (1RM) inputs. If you use one Sheiko spreadsheet, this should probably be it. As the name suggests, this is a 3x lifting program designed for lifters under 80 kg (175 lbs). For significant discussion on this spreadsheet, I recommend reading this thread on Sheiko’s forum. 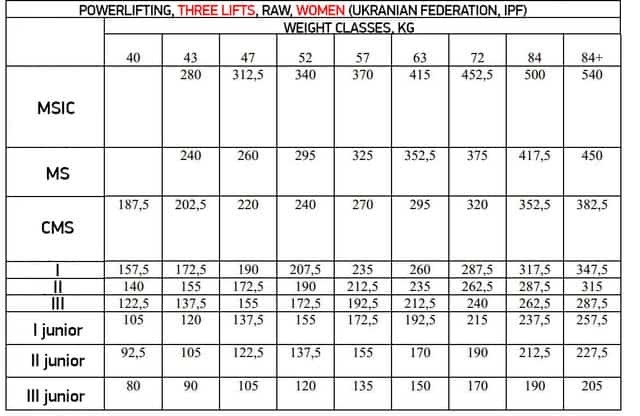 Lifter over 80kg are encouraged to try the spreadsheet below. Similar as above, except for lifters over 80 kg / 175 lbs.